Here’s a fun way to save on paper to print all those coupons! 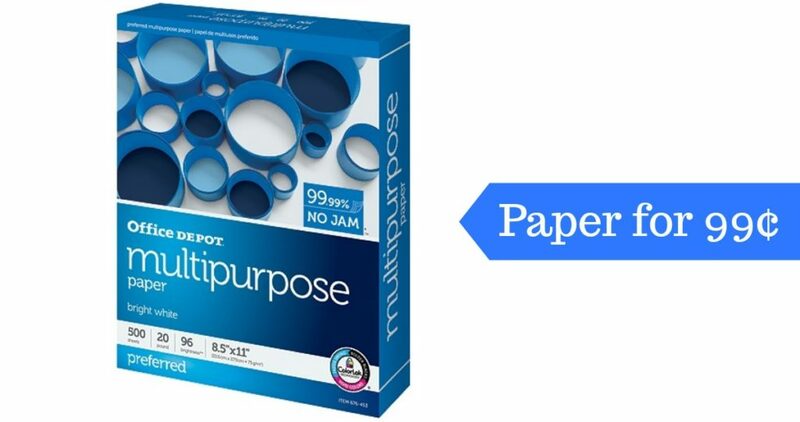 You can get a ream of Office Depot Brand Multipurpose Paper 99¢ after rewards. Pay $5.99 and get back $5 in rewards to get this deal on a 20 lb. ream of 500 sheets. Limit of 3. Offer valid through 1/6 in-store and online.